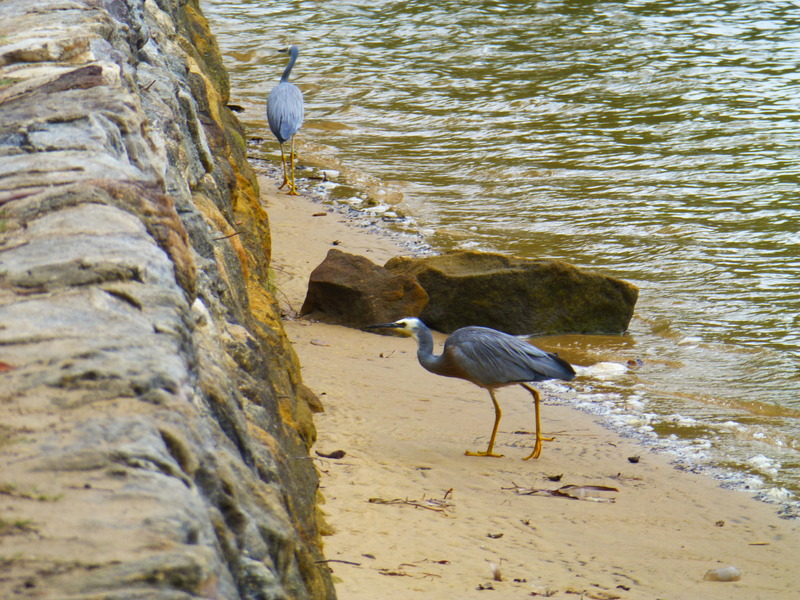 Quite often I see the White-faced Herons. They fly in to the shallows of the local swimming baths ( which are formed by a shark-net in the river). I have never actually seen a flock of Herons. In fact, I’ve only ever come across these elegant birds as singles or in pairs. In this photo, I rather fancy that one of them is playing hard to get. 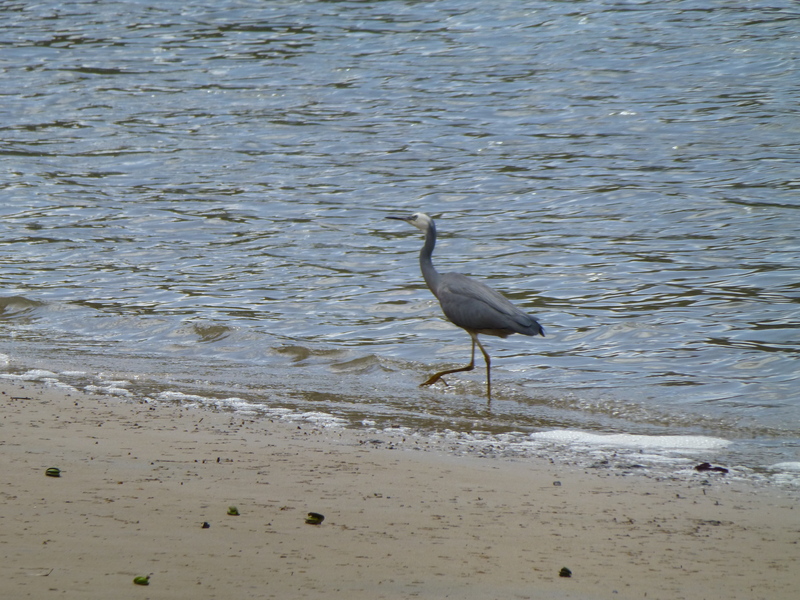 Maybe the bracing breeze has stirred him, but this sprightly White-faced Heron surely has vigour in his stride. 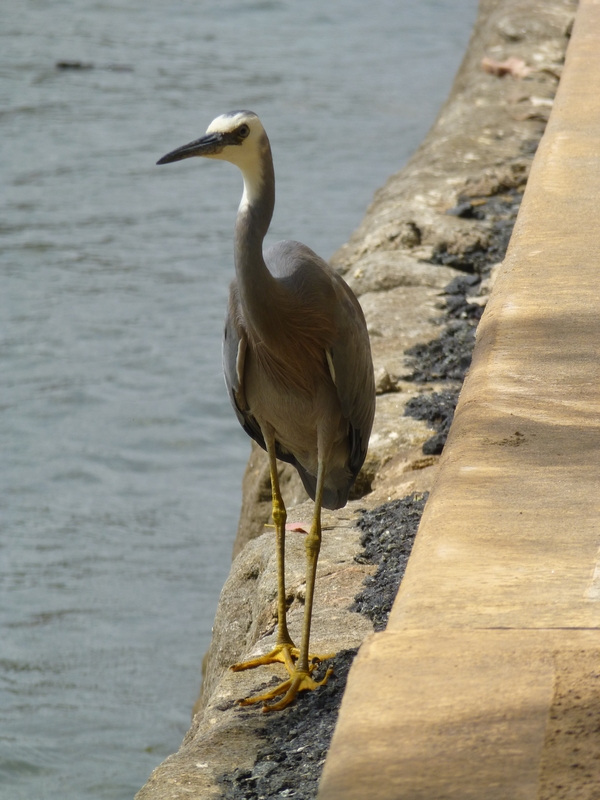 This White-faced Heron is toeing the line. These elegant birds are frequent visitors to the river baths where I swim, and seem to enjoy being in the line of the camera’s focus. 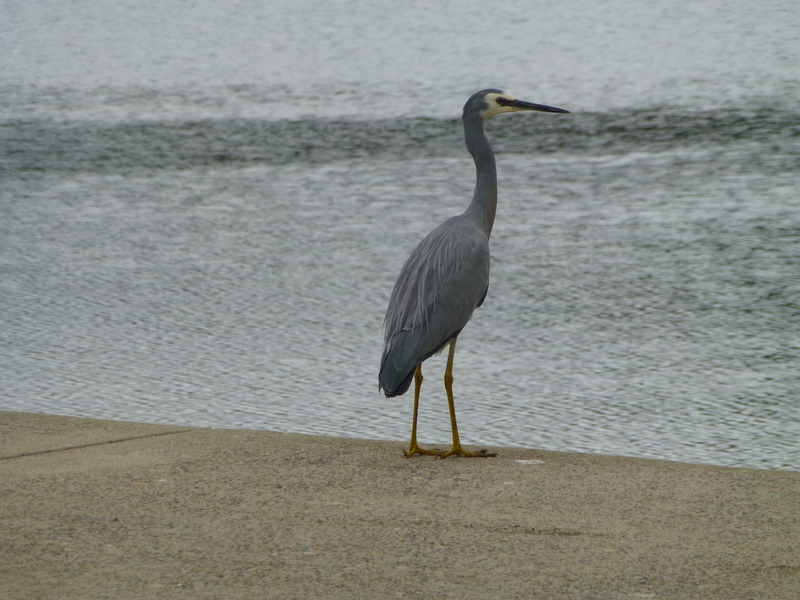 Sydney is home to so many beautifully- feathered creatures. 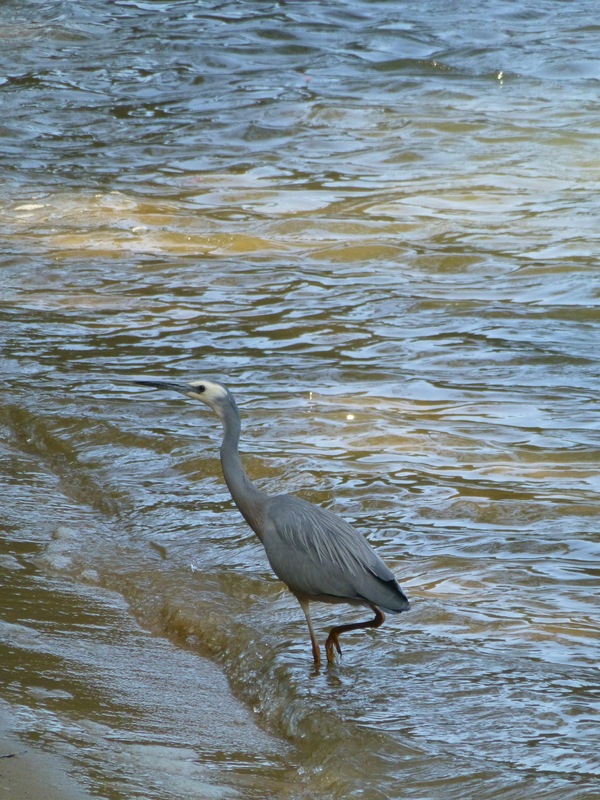 So often when I see the White-faced Herons in the local river baths, the weather is calm. Often their reflections are mirror-like. But not on this day. No. The wind had picked up, bringing the waves along with it. 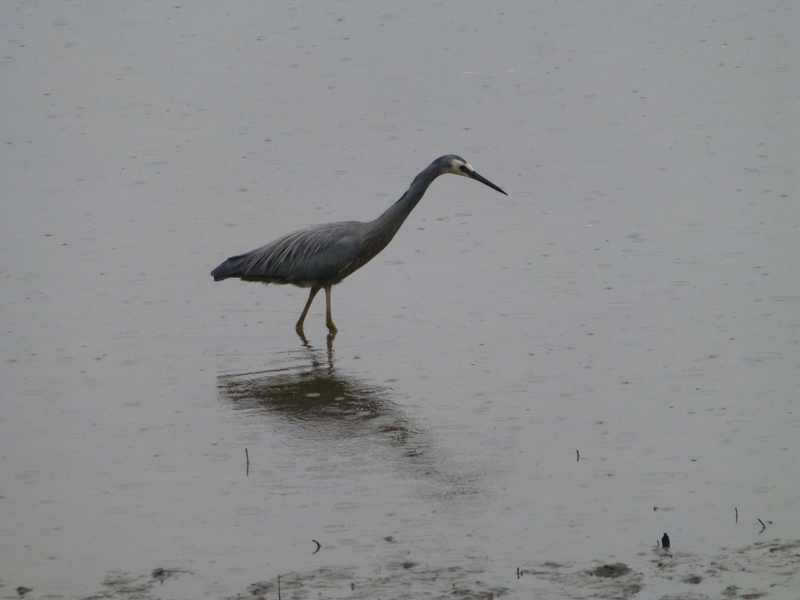 But this hungry White-faced Heron remained undeterred. Maybe he relishes a challenge. What a pointed beak he has! I guess his prey doesn’t stand a chance.